Disordered eating behaviors are on the rise among youth. 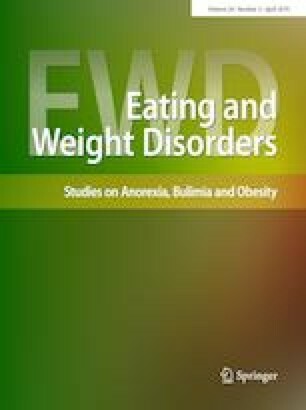 The present study investigates psychosocial and weight-related variables as predictors of eating disorders (ED) through disordered eating (DE) dimensions (namely restrained, external, and emotional eating) in Lebanese university students. The sample consisted of 244 undergraduates (143 female) aged from 18 to 31 years (M = 20.06; SD = 1.67). Using path analysis, two statistical models were built separately with restrained and emotional eating as dependent variables, and all possible direct and indirect pathways were tested for mediating effects. The variables tested for were media influence, perfectionism, trait emotional intelligence, and the Big Five dimensions. In the first model, media pressure, self-control, and extraversion predicted eating disorders via emotional eating. In the second model, media pressure and perfectionism predicted eating disorders via restrained eating. Findings from this study provide an understanding of the dynamics between DE, ED, and key personality, emotion-related, and social factors in youth. Lastly, implications and recommendations for future studies are advanced. All procedures performed were in accordance with the ethical standards of the US Code of Federal Regulation (45CFR 46.107, 21CFR 56.107) and Good Clinical Practice ICH (Sect. 3).